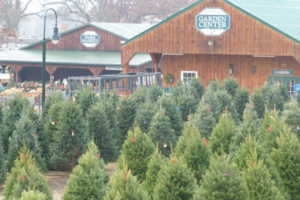 Cut Your Own Christmas Tree at Linvilla Orchards! Want to support local agriculture AND make long-lasting memories with family? Linvilla Orchards is the place to do it! Linvilla Orchards is covered with more than 40,000 Christmas trees, so come out and pick one that is just right for your home. Families can take a hayride to the Christmas tree fields to pick the tree of their choice. Visitors can choose from a variety of 6’ to 10’ Douglas Firs as well as some Canaan Firs. Linvilla employees will wrap your tree and tie it to your car! They can even drill a hole into the Christmas trees for their stands. Cut Your Own Trees is open until December 23rd, and all Linvilla Christmas trees are $69.99. Cut Your Own Christmas Tree is open on Saturdays & Sundays from 9am – 4pm and Mon through Friday from 10am – 4 pm. For more information about Linvilla Orchards and the Christmas tree selection, visit https://www.linvilla.com. ← Looking For Some Great Holiday Party Hors d’oeuvre Ideas!!! !